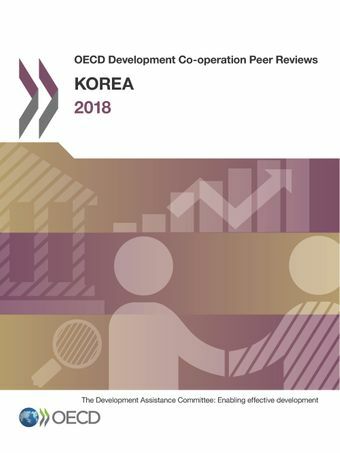 The latest DAC Peer Review of Korea notes a steady rise in Korean aid – from USD 1.2 billion to USD 2.25 billion – in the six years since the former recipient country joined the OECD Development Assistance Committee (DAC) as a donor in 2010. Globally, Korea focuses on inclusive growth, crisis prevention and development effectiveness, while in developing countries, its support includes highly concessional loans for national priorities such as renewable energy and roads. Country-driven processes are at the core of Korea’s approach to development co‑operation. Having hosted the Busan Fourth High Level Forum on Development Effectiveness in 2011, Korea is a committed champion of the principles of effective development co-operation. Through its missions in Paris and New York it continues to raise awareness among governments about the Busan Partnership Agreement and advocates for its full implementation as part of the global effort towards achieving the Sustainable Development Goals. Korea deserves praise for taking partner government requests as the starting point for its project selection. Additional scrutiny by Korea of the process through which government requests are generated would make its development programmes more effective and help to ensure attention to sustainability, reducing poverty and the principle of “leaving no-one behind”. The majority of Korea’s ODA grants are short-term, stand-alone bilateral projects. As Korea increases its ODA, making this more effective will require further consideration of longer-term impact and more understanding of which funding instruments best match its development objectives in each country context.